Gabapentin (Neurontin) is a prescription medication not FDA approved for veterinary use; however, it is a commonly accepted practice for veterinarians to use this medication in dogs. ... As an aid in chronic pain treatment or cancer pain in dogs, the usual dose is 1.4 mg per lb once a day. Neurontin capsules 300mg are used to treat epilepsy to control seizures in several forms of epilepsy, ranging from partial to generalized tonic-clonic seizures, in adults who have not responded to other antiepileptic drugs; also to control partial seizures in children. Neurontin capsules are also used to control neuropathic (nerve) pain in adults, including, painful diabetic neuropathy and post-herpetic neuralgia, caused by shingles (herpes zoster), to reduce pain sensations primarily in the arms and legs, such as burning, stabbing, or shooting pain, with tingling numbness or pins and needles. Neurontin capsules 300mg contain gabapentin, an anticonvulsant that is thought to work by controlling certain neurotransmitters (chemicals that allow nerve cells to communicate) that send nerve signals from the brain causing seizures or nerve pain. 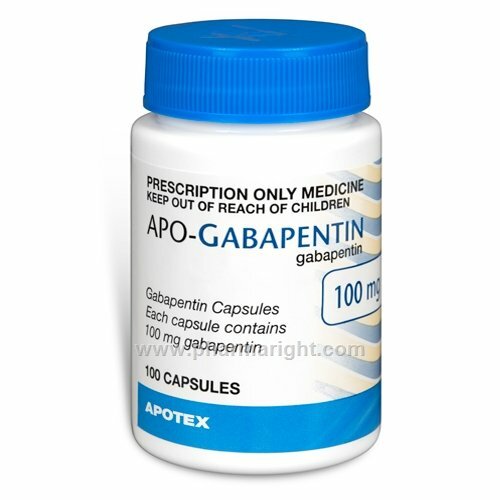 Gabapentin in Neurontin capsules is an analogue of, and has a similar chemical structure to the neurotransmitter GABA (gamma-aminobutyric acid). GABA is the major inhibitory neurotransmitter that reduces transmission of nerve signals from the brain to other parts of the central nervous system. Gabapentin in Neurontin capsules does not work through the same receptors as GABA and therefore has a different mechanism of action to other GABA analogues like barbiturates and benzodiazepines, however, it does bind to a receptor in the brain, that has yet to be determined and it is thought to control neurotransmission via voltage-gated calcium channels, which are ion channels in the cell membranes of nerve cells involved in the propagation of electrical signals. Neurontin capsules 300mg reduce the amount of nerve excitation that causes epileptic seizures and nerve pain, which helps control symptoms associated with epilepsy and neuropathic pain. Neurontin capsules 300mg contain gabapentin, an anticonvulsant that is used to control seizures in several forms of epilepsy, ranging from partial to generalized tonic-clonic seizures, in adults who have not responded to other antiepileptic drugs; also to control partial seizures in children. Epilepsy is due to an imbalance of neurotransmitters (chemicals that allow nerve cells to communicate), which cause bursts of electrical activity in the brain sending nerve signals from the brain to the central nervous system that triggers seizures. Neurontin 300mg are not effective in forms of epilepsy that do not have seizures (absence and myoclonic). Although the exact mechanism of action of Neurontin 300mg is not known, it is thought to work by suppressing transmission of certain excitatory nerve signals from the brain to the central nervous system which reduces epileptic seizures. Neurontin capsules 300mg contain gabapentin, an anticonvulsant that is also effective at reducing nerve pain and is used to control several types of neuropathic (nerve) pain in adults, including, painful diabetic neuropathy and post-herpetic neuralgia, caused by shingles (herpes zoster). Although the exact mechanism of action of Neurontin 300mg is not known, it is thought to work by binding to specific receptors in the brain, which suppresses transmission of certain excitatory nerve signals from the brain to the central nervous system, and this reduces pain sensations primarily in the arms and legs, such as burning stabbing shooting or shooting pain, with tingling numbness or pins and needles. The most commonly reported side effects when taking Neurontin capsules 300mg include: dizziness or light-headedness, fatigue, drowsiness, fever, lack of coordination (ataxia), gastrointestinal upset (constipation, diarrhoea, nausea, vomiting), dry mouth, red swollen gums, muscle pain, cramps, back pain, forgetfulness, loss of concentration confusion or abnormal thinking, difficulty speaking, weight changes, hypertension, vasodilatation, visual disturbances, peripheral oedema (swelling of the hands or feet), nystagmus (involuntary eye movement), skin rash, itching. Other side effects more common in children include: infection, emotional lability. When should Neurontin not be used? How should Neurontin be taken? You should take your Neurontin capsules 300mg whole with a glass of water with or without food, 3 times daily and do not allow more than 12 hours between doses. The dose you take depends on what you are being treated for and your doctor’s recommendations. Your doctor may increase your dose gradually depending on how well your condition is controlled. You should not suddenly stop taking your Neurontin 300mg as this may cause withdrawal side effects, instead your doctor will reduce your dose gradually over one week, when you are ready to discontinue treatment. You should continue to take your Neurontin capsules 300mg for as long as recommended by your doctor even if you are feeling better, as Neurontin 300mg helps control your condition but does not cure it. How long should you take Neurontin? You should continue to take your Neurontin capsules 300mg for as long as recommended by your doctor even if you are feeling better, as Neurontin 300mg helps control your condition but does not cure it. If you miss a dose of Neurontin capsules 300mg take it as soon as you remember, unless it is time to take the next dose, then skip the missed dose. Do not take a double dose. How should Neurontin be stored? You should keep your Neurontin capsules 300mg in their blister packs until use and store below 30°C in a cool dry place.